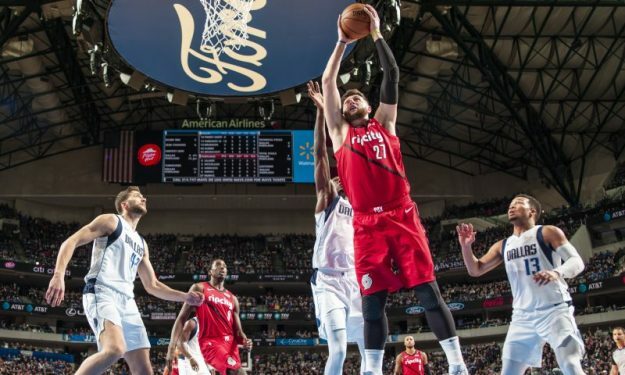 The Portland Trail Blazers suffered a heartbreaking loss to the Dallas Mavericks despite Jusuf Nurkic’s latest double-double. Sunday evening didn’t go according to plan for the Portland Trail Blazers. Their 15-point lead in the American Airlines Center was dissolved by Luka Doncic, who led the Dallas Mavericks to their home win. Jusuf Nurkic’s 25th double-double of the 2018-19 NBA Regular Season wasn’t enough for the visitors. The 24-year-old Bosnian center notched 18 points and 10 rebounds in 21 minutes before fouling out.